Living in an apartment definitely has benefits! With our busy lifestyles remembering garbage day is another thing to add to our ever growing to-do list. At Drewlo we would like to make the process of removing your trash seamless, but we do need your help! 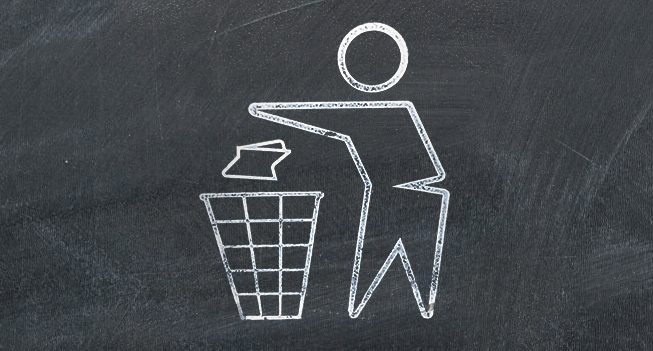 Every floor in our buildings is equipped with a garbage chute – this makes it easy to dispose of a full trash can without having to travel too far with what could be a heavy or stinky trash bag. Please remember this is NOT a place to dispose of your recycling - no cardboard or any loose items. All trash must be secured in a garbage bag not exceeding 33 gallons max. Double bag if you find the trash bag is leaking or is too heavy. Do not overfill bins or attempt to squeeze a large bag down a trash chute. If your bag expands even a little as it falls, it could get stuck and create a back up. Never leave your trash on the floor in the Garbage Chute room on your floor. If your trash bag is too large to fit down the chute, please carry it down to the garbage room. If you have any further questions about how to dispose of other garbage, or unwanted items such as electronics, please contact your Building Manager.